QUICK REMINDER! Shiny Magikarp plush! Hey comm! Quick quick reminder post mostly for Shiny Karp!! Auction ends tomorrow night at 6 pm EST and he's still at his starting bid, so don't miss this chance to own this awesomely rare plush! You know you want it! It's shiny colored and super derp and also really minty and awesome!! Click the pic or this text to be transported to the auction! Hi Guys, so I bring you more Next Destinies, Noble victories and other sets. I come to you, dear comm, to ask you, how many of you play? And if so, can you direct a noob on where to get some cards at a discount? I really dont want to buy the cards brand new! I know I need lots of energies, and a deck with a theme. Do you put them together by hand by sifting through sales here and there? Also I can't wait to finish this epic commission order I just got from someone... a woman on ebay asked for the most RANDOM pokemon and claims it's her son's favorite Pokemon and wants it... LIFESIZE!! You will literally never guess what it is. But I'm so stoked to make it regardless of how random it is!! Current Music: Royksopp "Happy Up Here"
Spreadsheet and more info inside! Akeyma's I <3 Quagsire GA! Here's some of my recent gets and the (near) end to a looooong streak of buying. sup guys! A quick little update from my moving question -- I have decided that I will not sell my collection since I'm way too attached to my things ;o; How I will transport all my stuff is up in the air, but I'll figure out something... ANYWAY. The point of this... a wants post! I am actually really close to finishing up my collection. 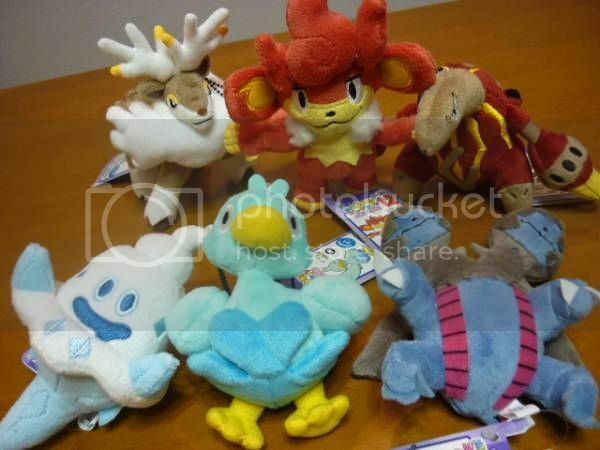 I think I have every Piplup plush released minus the ones on my wants list. 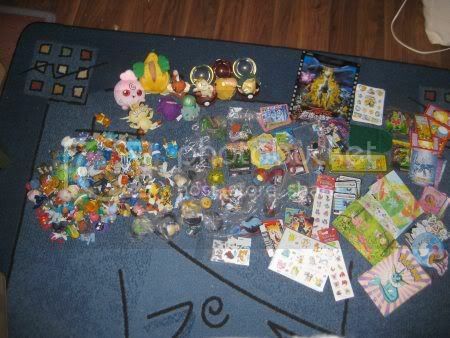 A lot of the things on my wants list can be found on various Japanese auction sites, but I am keeping them as a last resort and trying to see if anyone else has them, since it is painful to pay tons of fees on something like a small pouch. 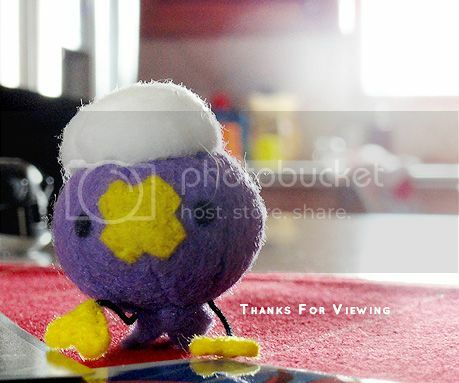 I do have a new Piplup item along the way, and when I get it, I will definitely make a post! I thought I would share what I got from my valentine exchange now that I have the second part of it. Mine came from jerybunny. I've been looking for one for quite some time now, but to no avail, I have come up empty handed. So I come now asking if anybody has one for sale, it doesn't have to be MIB. I'm not quite sure how they'd be priced currently, so I am open to any reasonable price. :) Thank you for looking. I hope to have a collection update soon! Also, I'm looking for a Japanese Absol Pokedoll MWT--I'd pay up to $300 for one (I'm desperate!). Also I have a question about the charm set that will come out at the end of this month. 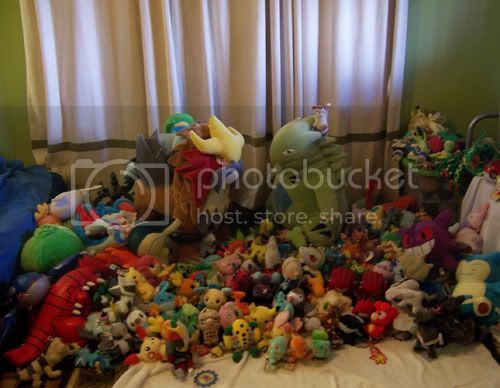 Do you guys know of any other sites, besides Hard Rock Pkmn that sells them? I really want some that are going to be a 3 set, but I don't want to spend $40 on it. >>;; My bf is trying to get a me a gift for vday, and tbh that's a bit overpriced iho. So if there is a place that sells them a bit cheaper, even $5 cheaper makes a huge difference for us, then please let me know! <3 Much thanks! advance if I manage to screw up this post >~<, sorry! Current Music: GO! GO! MANIAC! 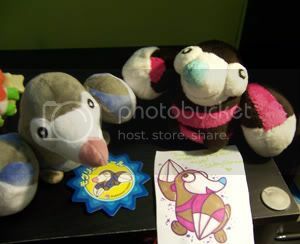 Still looking for a MWT Snivy beanie baby plush for my friend's birthday! I'm hoping to buy from a comm member since I have a special request: I'd like a note included in the package, which I would type up myself and the sender can either print it out or hand write it out on paper. Whichever's convenient! I'd just like to send her a birthday wish and also let her know the purpose of the package. XD I'm also considering asking for my address to be put as the return address (just in case it upsets her parents, IDK and I can't ask because, well, surprise gift XD) but I don't know if that's bad to do >_>? 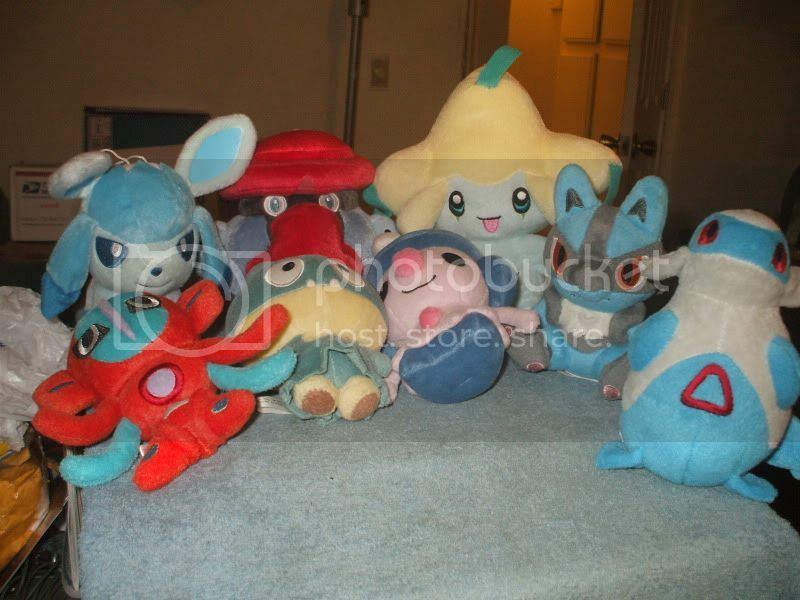 Anyway, I'm really hoping for $20 shipped max (to Canada), preferably less, but I don't really know the value of these plush so yeah. Let me know! I can pay probably mid-tomorrow when my Paypal transfer clears. ♥ And the sooner it can be shipped the better, since this is already going to be super late (her birthday is the 16th orz). - Got one! Thank you mellow_candy! Hello community! I still have a few wants...ok more than a few but I am only gonna bug you for a few hehe. Suction cup, non clear kid, and big keychain (thanks meowthcollector!)! Battrio, keychain stamp, bank, and mini bobblehead. We Won! MPC set 12 GA: Payment #1 due! Hello! Time for those of you who participated in my MPC set 12 GA to send in your first payments!! Please send payment to glowingferret[at]gmail[dot]com ASAP!